The men, all from Gujarat, worked in a UAE-based marine service company. Inside Story – Cutting ties with Iran? With countries following the sanctions and others dragging their feet, what impact are the sanctions having on the economies of Iran’s trading partners? And are the sanctions designed to drag Iran back to the negotiating table? The U.S. State Department has announced plans to sell up to $60 billion in high-tech military aircraft to Saudi Arabia. 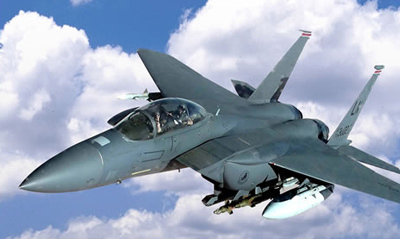 The Wall Street Journal, which broke the story in September offering details of the deal, reported that it is the largest U.S. overseas arms deal and will require congressional authorization for the acquisition of 84 new F-15s and upgrades to Saudi Arabia existing fleet of 70 F-15s. The F-15 is manufactured by McDonnell Douglas. The purchase, say military analysts and diplomats, aims to bolster the region’s defenses against Iran. In addition, the arrival of F-15s to Saudi Arabia wouldn’t begin until 2015, the same year Tel Aviv is to take delivery of more advanced F-35s. The State Department’s announcement of the deal also revealed that it would include up to 1,000 1-ton, bunker-buster bombs that would “enhance the capability of Saudi Arabia’s air force to bomb hardened bunkers and tunnels such as those that the West believes are used by Iran to hide nuclear and ballistic programs,” The Wall Street Journal reported. The United States has sold up to $37 billion in arms to Persian Gulf states, including Saudi Arabia, the United Arab Emirates, Bahrain, Qatar, Oman and Kuwait from 2005 to 2009. On the other hand, Iran has reported advances in uranium exploration and mining. 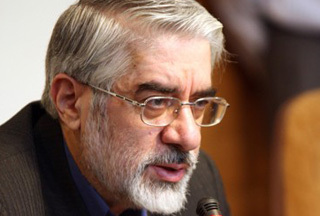 Officials said the Iranian Atomic Energy Organization has overseen a project to accelerate uranium exploration and mining. 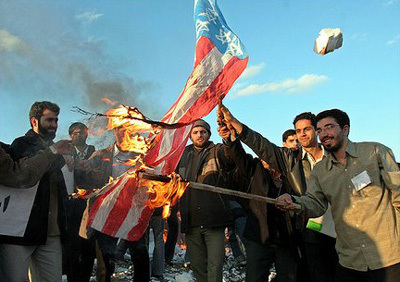 They said the Tehran regime has considered this a national priority in an effort to bolster Iran’s nuclear program. Iran has produced more than 60 pounds of 20 percent enriched uranium for a research reactor in Tehran, an Iranian atomic energy official said. Ali Akbar Salehi, the head of the Atomic Energy Organization of Iran, said his country has produced around 66 pounds of 20 percent enriched uranium for research purposes, the semiofficial Fars News Agency reports. What I believe is for sure there will be very horrifying days to come especially for Iran’s people and Middle Easterns in general. Hal comments on the accusation by Iranian Government that the United States helped Israel build it’s nuclear weapons arsenal. Ras Al Khaimah is the closest emirate to Iran. Historically they have strong trading ties. But increasing international sanctions have placed a stain on trade so has business been hurt? South Korea listed 126 Iranian companies and individuals for economic sanctions, including a major banking operation, despite Iran’s warnings that the penalties would endanger growing trade and energy ties. The South Korean actions included effectively hamstringing the Seoul office of Bank Mellat, which handles transactions for 70 percent of South Korean exports to Iran. The United States has accused the bank of facilitating hundreds of millions of dollars in transactions for Iranian nuclear, missile and defense entities. The United States hailed new sanctions imposed by South Korea against Iran as increasing pressure on Tehran to return to the negotiating table to address concerns about its nuclear aims. “These actions strengthen the growing international resolve to prevent proliferation and Iran’s development of nuclear weapons and to press Iran to return to serious negotiations on its nuclear program and meet its international obligations,” Secretary of State Hillary Clinton and Treasury Secretary Timothy Geithner said in a joint statement. The United States tries to support democratic forces in Iran but in a way that does not undermine or endanger them, U.S. Secretary of State Hillary Clinton said. China on Thursday expressed its opposition to unilateral sanctions against Iran. “We hope relevant parties can stick to diplomatic efforts and seek an effective resolution through dialogue and negotiations,” Chinese Foreign Ministry spokesperson Jiang Yu told a regular press briefing. On the other side, most banks in the United Arab Emirates, an important trading partner for Iran, have stopped money transfers there after the latest round of sanctions on the Islamic republic, bankers said last week. A Dubai-based Iranian businessman said that the latest sanctions have halved trade with Dubai, an important re-export centre for Iranian goods. “We stopped transfers to Iran in all currencies in July,” an executive from an international bank, who spoke on condition of anonymity, told AFP. It is no surprise that financial transactions with countries like the United States are banned as part of sanctions to do with Iran’s nuclear programme, but now a key regional partner is also clamping down.